ECIS is a market leader in international education, not just as a membership association, but as a provider of products and services as well. In this capacity, we maintain and cultivate business partnerships with a number of quality, well-known organisations that serve our sector. We value our relationships with these partners, as they are key in helping us to maximise our impact on behalf of our members. We invite you to learn more about our current partners below. Finding the right teachers for your school doesn’t have to be complicated. 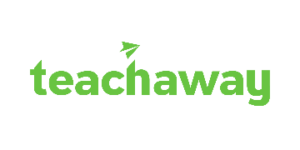 Teach Away is an industry leader in teacher recruitment, offering a world-class education employment platform that helps schools attract, qualify and recruit top teaching talent. Teach Away’s annual recruitment subscriptions enable schools to maximise their visibility in front of the largest community of international educators and streamline their hiring with an all-in-one digital recruitment platform. As the exclusive recruitment partner of ECIS, Teach Away is excited to work with ECIS member schools to offer a cost-effective way to connect with thousands of the most qualified teachers worldwide — all year long, for one all-inclusive fee. ISC Research is the leading provider of English-medium K12 international school intelligence, trends, and data. It has tracked the market since 1994. Most of ISC data is gathered from primary sources (government, established international schools, and market experts) by a team of skilled researchers. ECIS members have access to ISC Online for Schools. ISC Online provides extensive real-time data, analysis, news and information on all international schools around the world where English is the main language of learning. Discount: ECIS members receive up to 25% discount of market intelligence reports; benchmarking reports (e.g. salary/benefits comparisons); bespoke marketing strategy reports. A globally recognised standard of excellence, accreditation from the New England Association of Schools & Colleges (NEASC) attests to a school’s high quality and integrity. NEASC-accredited status indicates that the member school has achieved high standards of professional performance and is committed to continuing growth and development. In 2016, CIE introduced ACE Learning, its groundbreaking accreditation protocol which presents a fundamentally different approach to accreditation. To learn more about ACE, please view the ACE Introduction. It explains the conceptual framework that underpins ACE, describes the various phases of the accreditation process, and summarises the most significant differences to current protocols. NEASC and ECIS enjoy a professional learning partnership around the ACE protocol. Educational Services Worldwide (ESW) is a company committed to catering to the specific service requirements of international schools and educators. By offering a single point of contact for a range of services at competitive rates, it is ESW’s endeavour to save you time, money, and trouble. With years of experience in international education, our founders have a deep understanding of the significance of international schools and educators to their host countries and communities. They understand that high-quality medical insurance is a significant component of a successful institution or an individual’s peace of mind. ESW believes that their success depends entirely on the satisfaction of their valuable customers. Their commitment to service is their foremost concern, and their greatest asset. It is their mission to provide wide insurance coverage, excellent service and prompt claims processing to international schools and educators. TEACH-NOW provides a unique teaching model: rather than enroling in several courses in a single semester, candidates progress through a series of intense, comprehensive modules of different lengths, taken in sequence. The programme’s project/activity-based, collaborative learning model means candidate learning occurs synchronously, in mandatory virtual class sessions with 10 to 15 candidates in the learning cohort and the instructor, and asynchronously, outside of the scheduled virtual classes. Click here to learn more, and tell them that ECIS recommended you contact them! It’s time to go beyond “strategic plans” that are actually annual to-do lists. Member schools can receive discounts on world-class coaching, facilitation and co-design of clear objectives, strategy that is understood by staff, students and parents alike, and which helps create a collaborative approach to moving your organisation into new ground. From innovative process comes innovative practice that will place your school in a unique position. Our partners for school safety and security, Clearpath offer intelligent safety technology that empowers school teams to be better prepared, more informed, and able to respond properly in the event of an emergency. All ECIS member schools receive the Clearpath digital platform for free, as part of membership. Clearpath Alerts is a security technology company which provides schools with risk, security and dynamic communication technology solutions. As a company, they believe that their extensive efforts on the preventive and preparedness aspects of the emergency planning cycle combined with dynamic mobile communication tools, crowdsourcing intelligence, and data and analytics better ready clients for the majority of emergencies or crises they will face in any environment. From experience, we know that 1 in 5 people provide inaccurate, misleading or false information on their resume. When you’re employing new staff, make sure you know who you’re really hiring. Schrole Verify has a global point of view – accessing information in hard to reach locations where other agencies struggle. Schrole utilises rich data from a range of countries and government agencies. And they don’t stop there, they will also get on the phone and talk to real people. Learn more here. ECIS school members receive a favourable discount on Schrole Verify’s services, including background and global sanctions screening, credential screening, and social media screening. Momentum’s services are bespoke to build the capability of people and schools to excel in a broad range of critical situations. Their vast experience, especially in remote and challenging environments, allows them to readily appreciate local requirements and deploy culturally sensitive and logistically efficient services. Their previous experience in Aviation, Oil & Gas, Mining and Emergency Response Services in critical situations such as Emergency Incidents, Natural Disasters, Conflict and Terrorism incidents aids in the delivery of successful training of people, and if required, reviewing a school’s infrastructure for its Safety & Security preparedness. Momentum are ECIS’s partner in India for our international standard in Health & Safety, with a special focus on child protection training.